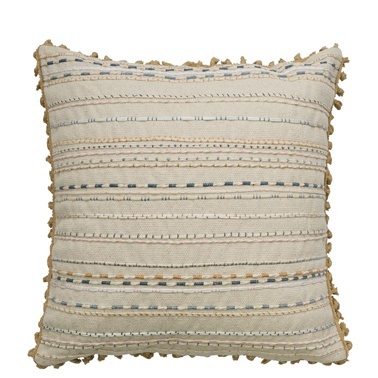 The Indira Holly Cushion is made from a textured cotton base and is embellished in a striped design of various embroidered patterns. The cushion is then finished with tasseled fringing on all sides. The reverse of the cushion is a plain Grey cotton.